As Brisbane Commercial Painters, we understand that painting is much more than simply putting paint on a wall. In the interest of good customer relations, we take time before carrying out a job to understand what the client is hoping to gain from the service. Our professional Colour Consultant, Lani Hunter, will discuss your desired results from our service. Having regular and clear communication with you means that we can produce a result that not only gains satisfaction, but exceeds expectations! Choosing the right colours is very important, especially when performing a Brisbane Interior Painting Service. We want to be able to paint the interiors and exteriors of every building we work on, be it residential or commercial, in a way that will live up to the expectations of the client. Painting can be a big job, so we endeavour to get it perfect the first time! Because choosing the right colour is one of the biggest factors when having your home or office painted, we offer a FREE Colour Consultation Service. Lani, along with the rest of the team are open minded when creating a colour scheme that will suit your preferences and personality. We have gained years of experience in Brisbane Interior Painting, so we have a wealth of professional knowledge about what colours should be used to make the most of your interior space and to make your home or office look outstanding. When you choose our expert Brisbane Commercial Painters for a free colour consultation, you will not be disappointed! For more information about our Free Colour Consultation Service, please do not hesitate to Give us a Call. We will be more than happy to help in whatever way we can, whether it be Brisbane Interior Painting or painting the exterior of an office building. We would love to meet you and offer our affordable and effective services. Request a free, no obligation quote today from Brisbane's premier painting firm! 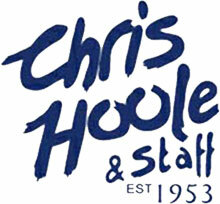 Why Choose Chris Hoole Brisbane Commercial Painters?